Eight persons were killed in suicide bomb attacks on a Borno village on Thursday. The attacks also left 14 others injured. 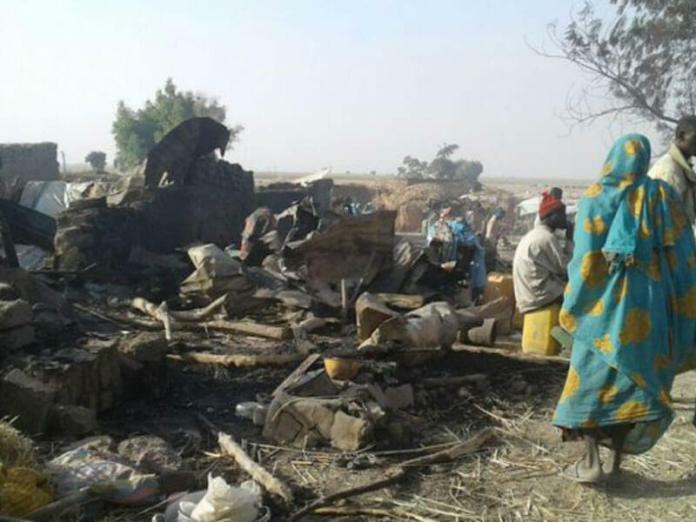 According to a resident of the village, Amarwa community in Konduga Local Government Area of Borno, the attacks were simultaneously executed by two suicide bombers. A resident, Babagana Modu, told THISDAY that the suicide bombers, both females, infiltrated the village about 12pm and detonated the Improvised Explosive Device (IED) strapped to their bodies. Modu said initially the explosion consumed five persons, including the two suicide bombers and left 17 persons injured. He said the 17 injured persons were taken to the Borno State Specialist Hospital in Maiduguri for treatment. But three of them died later as they could not survive the injuries sustained in the explosion. Bunu Bukar, the State Secretary of Borno Hunters Association told journalists in Maiduguri that the attacks happened about 12 noon on Thursday. He said: “The suicide bombing in Amarwa village of Konduga, and about 17 kilometres away from Maiduguri Township has claimed 5 lives including the two suicide bombers and about 13 other people were injured and have been evacuated to hospitals in Maiduguri for further medical treatment”. According to him, the village had been attacked before but the previous attack was not as devastating as thursday’s. A staff of the State Specialists Hospital, Mahmud Bukar, was later to reveal to journalists that three persons could not make it out of the people injured. He said: “We had a total of 17 injured victims brought into our hospital from Amarwa in Konduga this afternoon (Thursday) and unfortunately, we lost two even before they were operated upon and few minutes ago, another victim passed away in the theatre room. “We now have three deaths, and fourteen injured victims in our hospital at the moment”. Bello Dambatta, Head of Rescue Operations of Borno State Emergency Management Agency (SEMA) confirmed the incident, saying six lives were lost while 14 persons were injured.